Mobile devices—specifically tablets, or more accurately portable electronic devices (PEDs) containing electronic flight bag applications (EFBs)—are also essential tools for managing pre-, in-, and post-flight operations for any flight crew. Still, jumping between apps, which seems easy when managing your day-to-day life, can diminish the power of an EFB and the effectiveness of a flight crew during day-to-day operations. This lack of effectiveness only gets magnified during heavy workload situations in the cockpit—a time when flight crews need the power of their EFBs the most. We recognized the challenges of presiding over multiple apps to manage a single flight, and produced a solution that syncs and synergizes the critical apps needed to effectively manage a flight, harnesses the collective power of multiple apps working as one, and seamlessly integrates any third-party apps on the market into its framework. Today, there is more information available to flight crews than ever before. More information leads to enhanced safety, better situational awareness and more efficient operations. With the flood of information comes more tools (apps) to manage it. This restatement of the obvious is noteworthy because anytime there are increases in data to be managed and tools to manage it, there is an added element of complexity. However, adding more complexity to cockpit workload becomes a balancing act. For every app that reduces workload, there is a need to enter data, learn a new user-interface and understand yet another workflow. Additionally, for every new app that comes into the cockpit, there is the possibility of data-entry errors, and the potential for fixation on a single task that can distract flight crews from seeing the bigger picture. Put another way, the digital eco-system created in commercial cockpits by Class 3 EFB requirements has been lost, or at least relegated to the shadows. 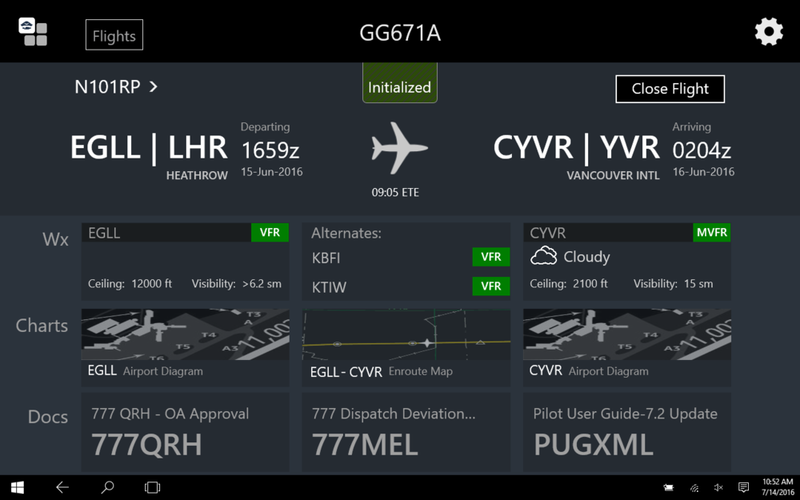 Jeppesen’s new app is built on a platform that seamlessly integrates key flight planning, charting, performance, weather and other critical functionality from Boeing and Jeppesen. But that’s where the innovators behind the app-integrating solution started—not stopped. In addition to app functionality, Jeppesen’s vision includes simple storage for manuals, procedures and other documentation that flight crews need to operate aircraft and function as employees. And all of it is accessed through a simple, intuitive dashboard that offers a single point of entry and an interface that reduces the app-hopping workload. Another way to think about the power of including outside apps is that it is a multiplier. When a solution is limited to certain apps, the result is, at best, addition of functionality. By opening the door to any/all relevant apps, the nearly unlimited power of integrating functionality, data and workflow creates an exponential value to the tens, hundreds or thousands of EFBs you have deployed right now. All that power stems from the number one—one dashboard, one point of entry, one user-interface, one workflow. The driving principles behind Jeppesen’s new app—reduced workload, a single point of entry and distribution, enhanced user experience—are just as relevant to the IT professionals who manage app and device updates at the operational level. With the app handling the bulk of the work, data moves effortlessly between EFB, airplane, operations servers and other airline-approved EFBs. Syncing and updating of devices is also centralized. EFBs were, in their infancy, an attempt to bring simplicity to the complex operating environment of the airline cockpit. Over time, EFBs grew more complicated as additional apps were created. 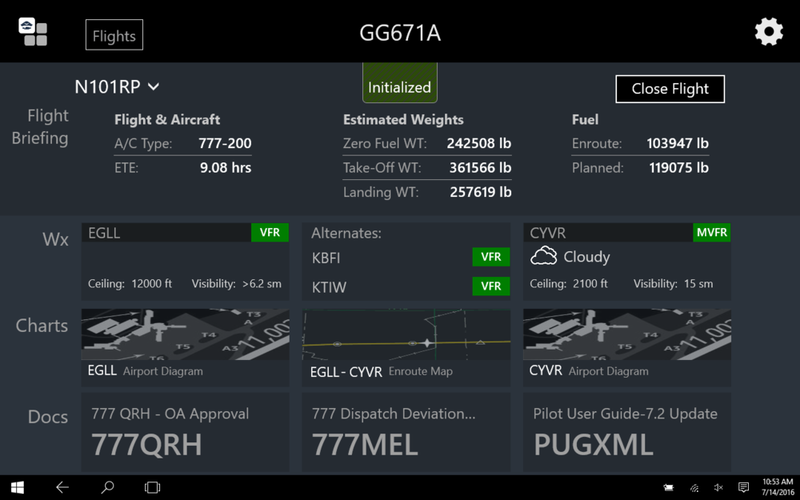 Jeppesen’s new app, which is scheduled for rollout in the third quarter of 2016, harnesses the complexity of today’s EFBs and, through integration, simplifies operations. This move toward simplicity brings with it the values of safety, efficiency, productivity and enhanced intelligence. Contact your Boeing representative to learn more about how Jeppesen’s vision—and new app—could bring more simplicity to your operation.